3 Jesus knew that the Father had put all things under his power, and that he had come from God and was returning to God; 4 so he got up from the meal, took off his outer clothing, and wrapped a towel around his waist. 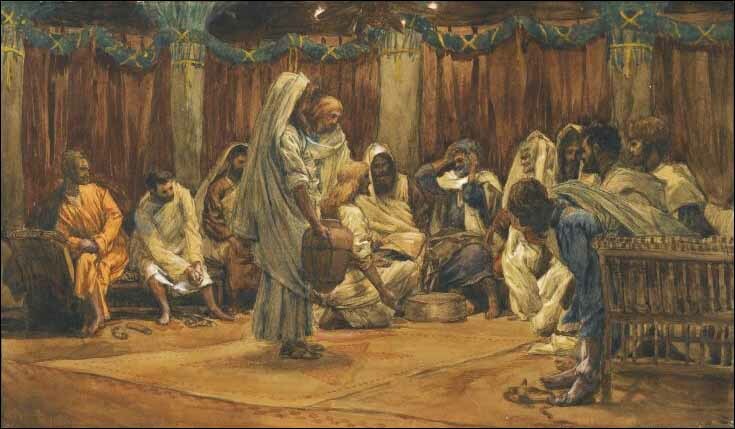 5 After that, he poured water into a basin and began to wash his disciples' feet, drying them with the towel that was wrapped around him. 0 Jesus answered, "A person who has had a bath needs only to wash his feet; his whole body is clean. And you are clean, though not every one of you." 11 For he knew who was going to betray him, and that was why he said not every one was clean.